Heart & Arrow connects women around the world through our purchase of consciously sourced raw materials and our charitable giving to organizations that benefit and uplift women who need it. And don’t we all need a little lift? At Heart and Arrow, not only do we care about your skin and your health, we care about using ingredients that will have a positive impact on you, as well as the special people who work so hard to bring them to life. In this article we’ll explain a little more about how each and every purchase paves a better life for women in a place that is near and dear to our heart, as well as talk about just one of the organizations we donate to and just why it is so important to us! Shea butter is rich and creamy and one of our signature ingredients in our handcrafted soaps. Just lather up with one of our beautiful, dreamy bars and see for yourself why we adore it so much! Finding all natural Shea butter can be hard, but that’s where Baraka fair trade Shea butter comes in! Multiple generations make shea butter together in the traditional way. This love and effort is felt in every bar of soap we make. Photo courtesy of barakasheabutter.com. 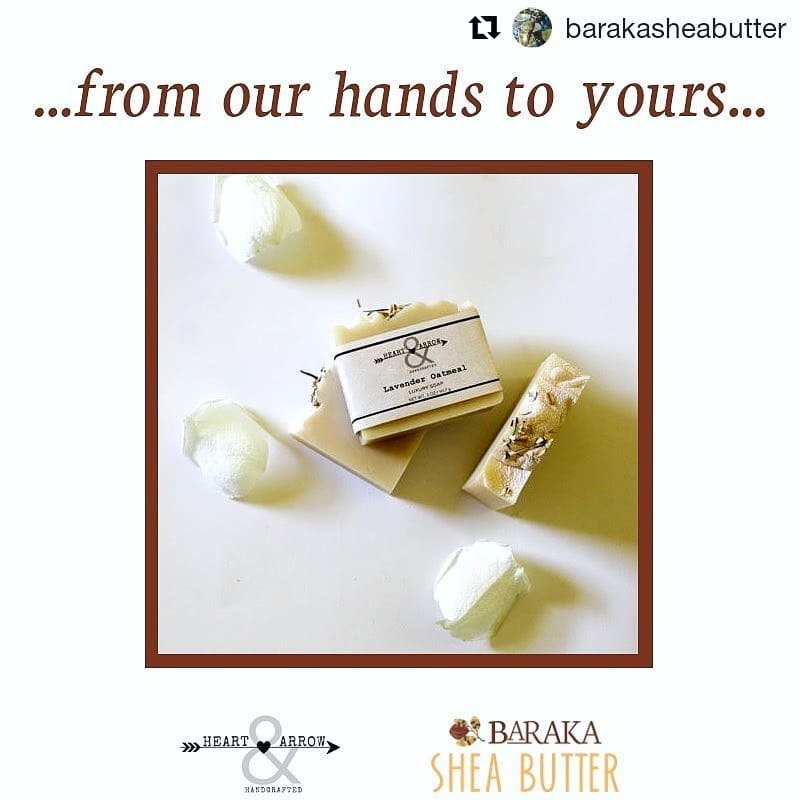 You can’t go wrong with a formula that has been trusted for generations and Baraka Shea butter is lovingly handmade by women and families using these tried and true traditional methods. The end result is a rich, decadent, 100% pure butter free from all chemicals and additives, the way nature intended. Through our company's purchase of Certified Organic Fair Trade Shea Butter from the Baraka collective of women producers in Northern Ghana, we support the economic opportunity & community development these women work so hard for. Members of the Baraka Shea Butter Cooperative proudly show the hands with which they make our most valued ingredient. photo courtesy of sheabutterrecipes.com, the awesome blog of Baraka Shea Butter. It is with great pride that our gorgeous, artisan soaps are made from this pure, handmade, unrefined, Fair Trade, Certified Organic Shea Butter made by the beautiful women of Kperisi village in Northern Ghana. To have this connection of sisterhood is the blood that fuels our company, our ideals and our passion for creating unique, naturally luxurious soaps. For more information on the community projects & women behind this, please visit Baraka Shea Butter and follow @BarakaSheaButter. Women volunteers teach their peers how to turn their waste into valuable natural resources. Photo courtesy of SOIL. We have been donating a portion of our proceeds to this wonderful non-profit organization based in Haiti, because they are absolute heroes with the incredible work they do. SOIL’s ultimate goal is to promote dignity, health, and sustainable livelihoods through the transformation of wastes into resources. 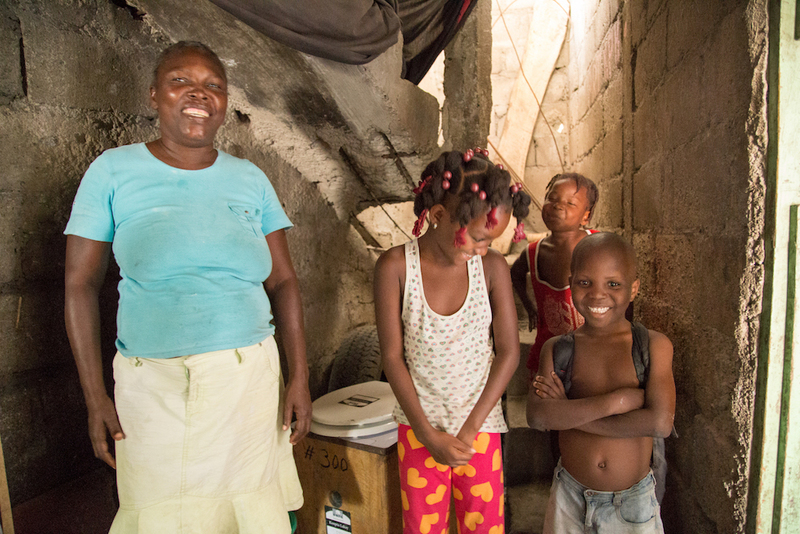 SOIL Volunteers show a Haitian family how to use their new EcoSan composting toilet. This simple technology is life-changing for families that have been going without. Photo courtesy of SOIL. It’s easy to take your toilet for granted every day. It’s always there and you don’t even have to think about using it, but did you know that it’s a very different situation for people in other parts of the world, like Haiti? Due to natural disasters and economic hardship, most Haitians lack access to basic sanitary facilities. Haiti is also a country which has lost most of its topsoil due to overdevelopment. SOIL addresses both critical issues through its work with composting toilets in Haiti’s hardest hit communities. EcoSan toilets provide a safer solution for women and girls to take care of their basic personal sanitation needs. Read more in this fascinating article https://www.oursoil.org/a-safer-sanitation-solution-for-women-and-girls-1808/. SOIL implements low-cost technologies that are simple, easy to replicate, require minimal water, and provide safe and dignified access to sanitation. Without providing sanitation, many people would have no access to toilets, so by purchasing from us you’ll be doing your part to making someone else’s life a little easier. EcoSan toilets provide a safer and more sanitary solution for women and girls to take care of their basic personal needs. Violence against women and girls without access to private toilet facilities has a long history in struggling & devastated communities like Haiti. 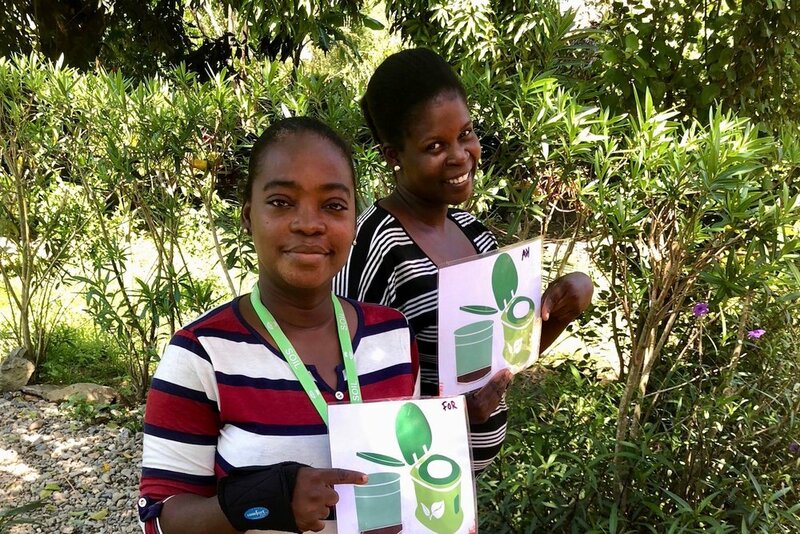 Compost from SOIL’s EcoSan program fertilizes the soil used to grow food crops, thus regenerating Haiti’s food system, natural ecosystem, and improving human health through access to sanitary waste management. Photo courtesy of SOIL. SOIL transforms waste into resources through community composting and agricultural projects that provide food, meaningful employment and ecological regeneration to those they serve. For more information or to donate to SOIL, please visit www.oursoil.org and follow @SOILHaiti. We also donate to Kiva MicroLoans and the Lovin’ Soap Project. More on these amazing organizations in an upcoming blog post. Right now is the perfect time to purchase a product from us to treat yourself for the holidays or for a special gift to place under the tree for your loved ones! 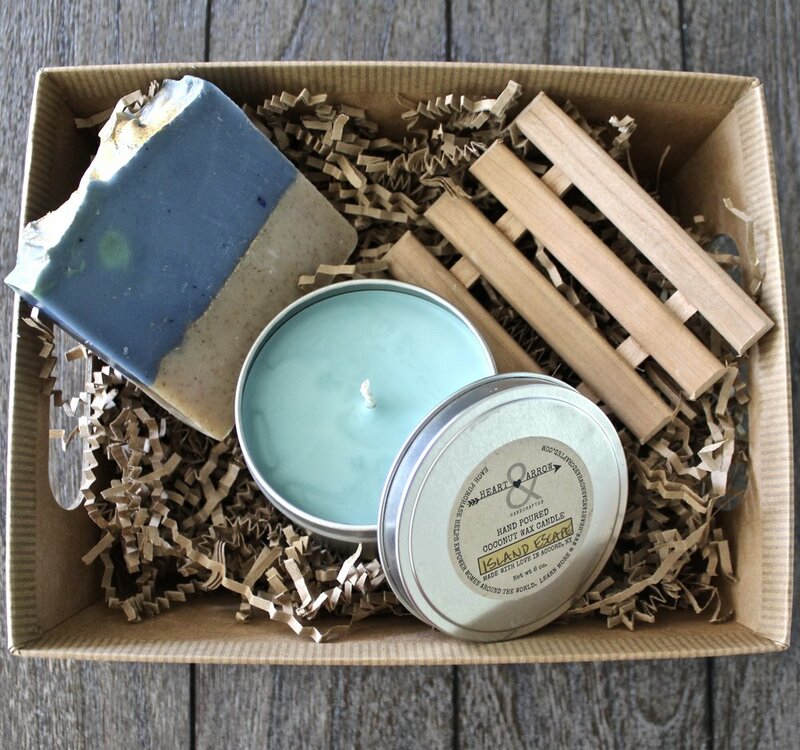 If purchasing a gift, always be sure to opt for the gift option at checkout and it will come beautifully packaged and ready to give that special someone!